Thought Leader, Management Consultant, Author of 13 books and noted for his work in quality management strategy and methodology for more than 20 years. Subir Chowdhury has been a thought leader in quality management strategy and methodology for more than 20 years. Currently Chairman and CEO of ASI Consulting Group, LLC, he leads Six Sigma and Quality Leadership implementation, and consulting and training efforts. Thinkers50, sponsored by Harvard Business Review, named Subir as one of the “50 Most Influential Management Thinkers in the World”. He is an honorary member of the World Innovation Foundation (WIF) and has been inducted into the Engineering, Science and Technology Hall of Fame and the Automotive Hall of Fame. Subir is a recipient of the Society of Manufacturing Engineers’ Gold Medal, the Society of Automotive Engineers’ (SAE) Henry Ford II Distinguished Award for excellence in Automotive Engineering and the American Society of Quality’s first Philip Crosby Medal for authoring the most influential book on Quality. The U.S. Department of Homeland Security presented the ‘Outstanding American by Choice Award’ to Subir for his contributions to the field of quality and management. In 2014, University of California at Berkeley established the Subir & Malini Chowdhury Center for Bangladesh Studies. The Center will award graduate fellowships, scholarships, and research grants that focus on ways to improve the quality of life for the people of Bangladesh. Each year the Subir Chowdhury Fellowship on Quality and Economics is awarded by both Harvard University and London School of Economics and Political Science to a doctoral student to research and study the impact of quality in the economic advancement of a nation. 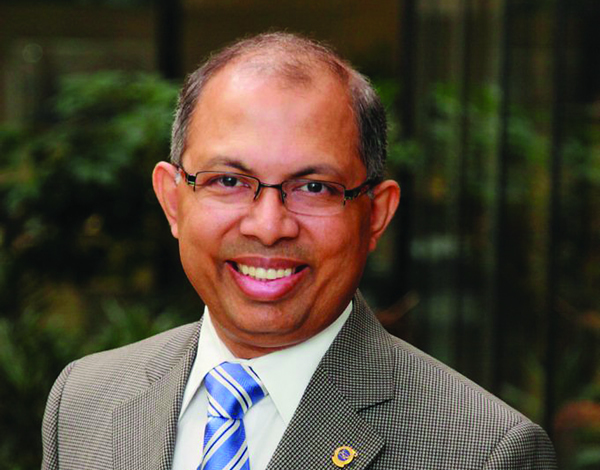 The SAE International established the ‘Subir Chowdhury Medal of Quality Leadership’, an annual award that recognizes those individuals who promote innovation and expand the impact of quality in mobility engineering, design and manufacturing. Born in Chittagong, Bangladesh in 1967, Subir received his undergraduate degree in Aeronautical Engineering from the Indian Institute of Technology (IIT), Kharagpur, India and his graduate degree in Industrial Management from Central Michigan University, Mt. Pleasant, Michigan. He has received Distinguished Alumnus Awards from both universities, as well as an honorary doctorate of engineering from the Michigan Technological University.